CONGRATULATIONS TO THE ATHLETES OF THE YEAR 2018! 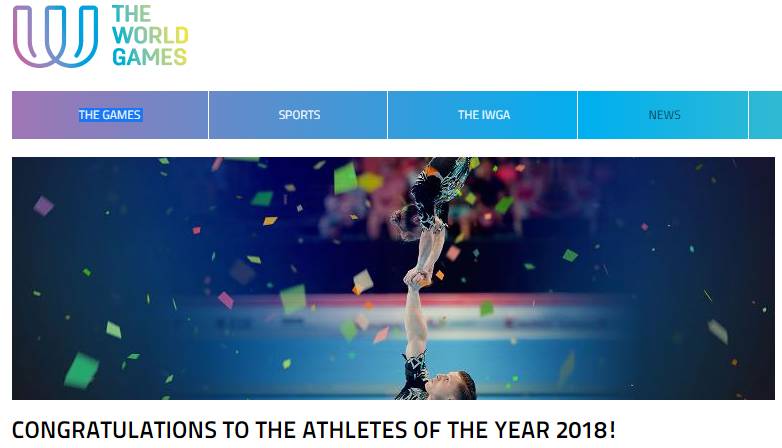 After a race like never before, Acrobatic Gymnastics couple Marina Chernova & Georgii Pataraia (RUS) are The World Games Athletes of the Year 2018! Congratulations! The incredible couple, who won the 2018 World Championships and, before that, The World Games in 2017, the 2017 European Championships, the 2016 World Championships and the 2015 European Games, won the race with 159,348 votes just ahead of the Powerlifting superstar Jennifer Thompson, USA (152,865 votes).